Happy Monday and Happy November everyone! It's that time again- time to talk about those monthly goals! How did you do on yours? Was October a productive month, or really busy with lots of plans? Friday morning breakfast at Sprague's Maple Farm! Beautiful fall morning and an amazing breakfast. Running on Pitt Bradford's campus with Selma! She was inspired by Django! Yes- I spent my Friday night watching the PSU Blue Band concert! No shame! Dinner time! Dan and I always seem to match..I swear we never plan this! - Cross off one item on my 30x30 list. Yes! I actually crossed off two items: break 2 hours in a half marathon (post here) and bungee jump (post here). Great month over all! If you want to see my entire 30x30 list click here! - Take a sewing e-course. Kind of. I took a few of the lessons in the e-course, and I bought all the supplies needed. Now I just need to buy some fabric and get started with the real lessons! - Set a new PR. Yes! 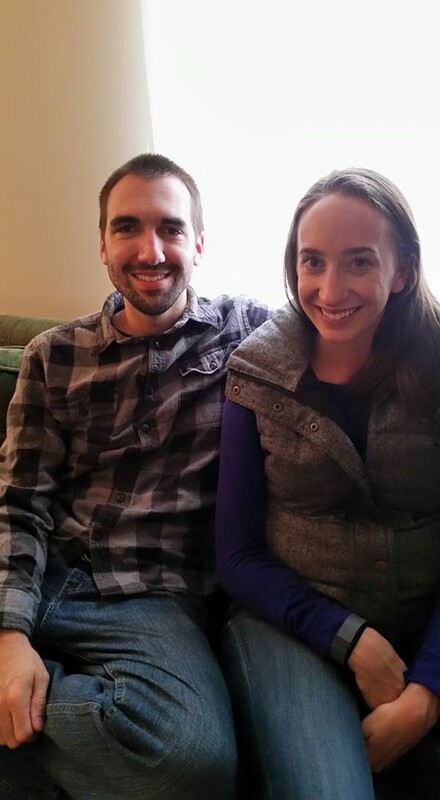 I actually set a PR in the half marathon and in 10 miles (post here!). Don't you love it when hard work pays off? - Complete the 30-Day Food Dare. Yes! 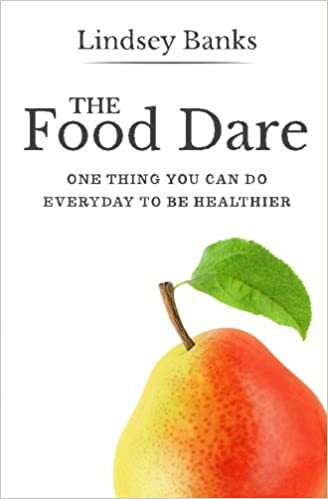 I loved doing the dare and wrote about it in this post. Don't forget- if you're interested in trying the dare I would appreciate if you used my affiliate link! - Cook Chinese food. Nope. Dan and I did get Chinese take-out one night..does that count? - No phone in bed. Lately, I've been sleeping really badly and not waking up to run before work. I know that a big issue that I have is going to bed with my cell phone and staying up too late on it. My goal for this month is to set my phone on the dresser and see how it affects my sleep! - Cross train 2x a week. I have to get back in the habit of cross training and getting stronger again! Now that I'm done with all my goal races, it's time to get back in the habit! - 100 miles. I think that hitting 100 miles in a month is a good amount for me, and will force me to start doing longer runs again! We'll see if I can hit this number without a big race to train for. - No shopping (except Cyber Monday). It's time to buckle down on my budget and save some money! I'll plan on going on a spending freeze, but will allow myself a break to take advantage of some of the big sales after Thanksgiving. - Spend 10 minutes every day decluttering. I finally have my apartment in great shape- everything is neat and tidy and I spent a lot of time actually cleaning everything. Now, I want to keep it this way by spending just 10 minutes a day tidying up. - Sew something! Now that I took a few lessons in sewing, it's time to get the fabric and actually make something. Hopefully I'll be able to share something neat next month! Congratulations on breaking your two hr mark in the half. I don't think I could ever bungy jump. Why is it that ordering Chinese food out is so much better than making it at home.....haha. Thank you! Maybe now I'll stop talking about it now :) Chinese takeout is the best!! Seeing the Blue Band must have been great. And those wings look so good. Looks like you had a great weekend! And congrats on the two new PRs! The concert was amazing!! Makes me miss playing though! Thanks so much for stopping by Sam! You've officially inspired me! I hadn't thought about November goals, but I desperately need to not go to bed with my cellphone and I need to declutter ASAP! I think both of those things will help me sleep! I should definitely go on a shopping freeze, but baby steps, right? I started plugging my phone into the kitchen and it has helped me a lot! You had a great October. I hope I can get my elusive sub 2 half next year. It will require work (and healing!). I always wanted to sew. I think if I had girls instead of boys I definitely would have learned to do that. I love that you have an actual 30x30 list and are crossing things off. Mine is more of a mental list that constantly changes. Good luck with your November goals. I appreciate you linking with us Gretchen and hope you have a wonderful week! It did take a lot of work, but I know you can do it once you're healthy again! Thanks for hosting and happy Monday!! I love all of these goals! Simple and attainable. I may add the no phone in bed to my list too! I always end up neglecting sleep for an hour to mindlessly scroll. Such a bad habit! Same here! I don't even do anything productive...just waste hours going through FB/IG/Twitter. So dumb! Congrats on your PR's! No phone is bed is SO SO good. I've done it off and on for while and it really does help! When my phone's in bed with me, I sit on Instagram long after I'm tired just because.. Same here! I did this last night and I slept SO much better than usual. I like it! I love the goal of 10 minutes a day of uncluttering. And the phone thing. Yeah I'm so guilty of that!! Horry for crossing off 2 of your goals this month!! woohoo! It was a great month! And I'm hoping 10 minutes a day will mean I don't have to spend hours once in a while cleaning up...that's never a fun day! Love that you and Selma ran together! Great job on your goals. Buying fabric is the best part of sewing, ha ha! I haven't sewed in a few years but still have oodles of gorgeous fabric from my fabric spending sprees. Have a great month! Ha I wish my husband would adopt the No phone in Bed rule! Tell you something funny when I try and go to sleep and he's still up playing on the phone the light is so dang bright I keep a black t-shirt by my bed to throw over my eyes! Now I need to adopt the 10 mins de-cluttering. It's amazing how much stuff can pile up. I should start at work though, then tackle my closet at home. Wait I'll need more than 10 mins each day If I'm planning on gettting it down before next year! Ha. Great goals! My goal is to get through all my long training runs this month!!! Thanks for linking up with us! That's so funny!! Love that you have a T shirt to block it...very clever :) I have a closet in our apartment that's just all the junk we don't want out..that will be a huge project for us too! I charge my phone in the kitchen. Once I plug it in, I'm done with my phone for the night. I know the temptation would be too great if I charged it in my room, and charging it in the kitchen means the cord doesn't get chewed by the cat. That's a great idea! Luckily Selma leaves my cords away but I hear that cats are the worst. I would be so angry if it got chewed through..cords are NOT cheap! Can you believe I know how to sew?! I can buy a pattern, cut it out and sew it up all by myself. I bet you'd never guess that! I love how you do monthly goals. You're such a well-rounded healthy person. Great job crossing those things off the list! And yes takeout Chinese totally counts. That's so cool!! I had no idea..want to teach me how!? 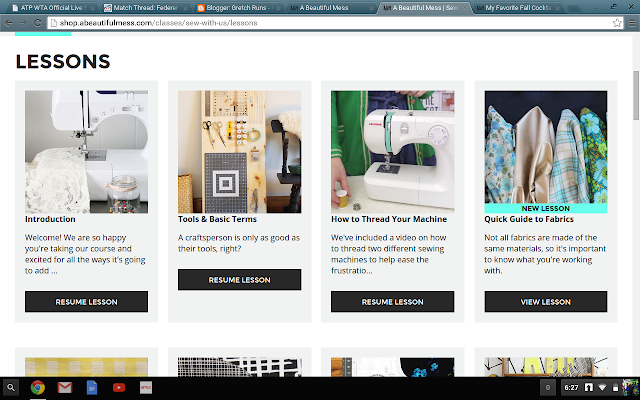 I coudl totally use that sewing course! My skills only go to sewing a button haha! oh man...your no shopping goal is serious business!! i struggle with that, some months im good, others it seems like there are amazing deal everywhere calling my name. you need to post tips on beating the temptation! Same here..but more often than not I am not so good. I'll try to come up with a post but I'm not the best at avoiding temptations!! What a shame! I remember taking home ec in middle school and we made a bean bag...that was a lot of fun and I wish we got to use sewing machines! You had an awesome month of October! Congrats on your sub-2:00 half and 10 Mile PR! Your November goals are great! I had a goal of 100 miles a month, but I got sick earlier this year and fell short a few months. Lately, I haven't had any problems meeting that goal with marathon training. love the recap of the ggoals and your new list for november! i am working on decluttering too. i like the idea of 10 minutes. LOL at you guys matching all the time, that's hilarious! I definitely use my phone in bed way. too. much. It's crazy..we always look like we're heading to a couple's photo shoot or something!